Don’t get me wrong. I’m a BIG advocate for psychological skills training, and I apply mental skills to keep myself healthy as well as my clients. I have used tapping to free myself of artificial sweeteners, employ positive thinking to get me out the door and exercising, and practice mindfulness to say no to that third drink at the pub. But, truth be told, those things are pretty easy for me. I guess I’ve lived a pretty charmed life, and never really seen the need to use psychology to work through anything personally challenging…until recently. The bad times started with a friend of mine dying. I won’t share the details out of respect for their family, but it was a massive blow to our whole friendship circle, and me as one of his best mates. Shortly after that the woman I love and I broke up. Anyone who has ever had to go through this particular type of heartache (most of us!) knows that it can feel like you’ve lost a part of yourself and I felt like someone had pricked me with a knife and just let all the energy drain out of me. They say things come in threes, so it shouldn’t have surprised me when my time-honoured ritual of taking the first week of the year to relax, rejuvenate, and recharge got hijacked by some unexpected (but necessary!) support of friends and family members who were struggling themselves. Of course, none of this is insurmountable – in fact it is the stuff of life – but I was well and truly down in the dumps. After spending considerable time sitting in the rubble I started to turn my attention to how I could get out of it. What resources did I have to pick myself up and start moving forward again? I had a FOBO*** and realized “I’m a psychologist!” and this was the perfect opportunity to test my wares. How would I begin to move through my grief over my friend? I took the advice I would give any client and, rather than suppressing all the feelings, allowed myself to feel them. I found myself smiling when I thought about his smile, crying when I thought about never seeing him again, and even talking to him as if he was there in front of me. And you know what, it has helped. What could possibly help me deal with my relationship break down? The hurtful memories of things said and not said, done and not done. Painful emotions that seemed more real than any physical trauma (and indeed had obvious physical effects). Asking myself “how would I suggest a client clear some of this emotional baggage?” Almost instantly, I found myself replying “tapping”. So I tapped. And then I tapped some more, and more again. Everything I tapped on – things trapped in my head for years, things I thought I would never get over – I could literally feel lifting from my mind, and I found myself thinking “Wow, this actually works”! After the dust of some of my grief and pain settled, I still found myself lacking the usual direction that guides me. The only answer was to dig even deeper into my toolbox. Positive thinking allowed me to reframe the situation from “the start of a terrible year ahead” to “a false start that I would recover from” – already I was feeling a little more optimistic. But as we both know, feeling optimistic and actually taking responsibility are two different things. The final piece of the puzzle – what I needed to do now – was the goal setting that I do every year with my Twelve Month Transformation members. Like it always does, it set me on a better path. I won’t lie and say I was jumping for joy about it like I often do, but I felt content I knew where I was going and could now look forward to the future. So after being a practicing psychologist for over 10 years, and even employing these skills myself for much of that time, I have finally learned what my past clients already understand – these tools really can help you transform even when you think you can’t. *Often, we see our therapists as having it all together, but alas, being a psychologist does not render you invulnerable to being a human! The reality is that the biggest difference between psychologists and their clients is which therapy chair they sit in. **This is, of course, very different to my clients, who come to see me because they do struggle in the areas of eating, drinking, and physical activity. 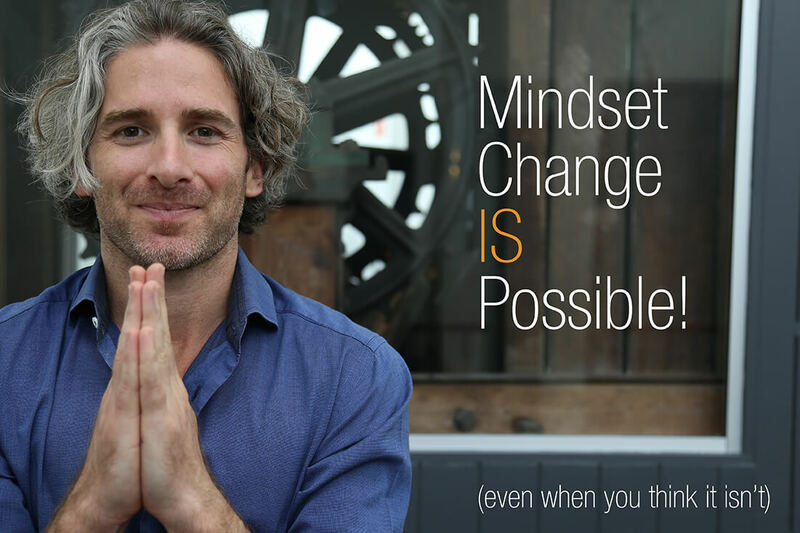 Hey Buddy!, I found this information for you: "Mindset Change is Possible (even when you think it isn’t!)". Here is the website link: https://www.weightmanagementpsychology.com.au/thought-36-mindset-change-is-possible-even-when-you-think-it-isnt/. Thank you.